Our Super Belt replaces the issue kidney pad used with the ALICE pack frame but with a number of improvements. Most importantly, our Super Belt utilizes 1.5" padding for maximum comfort. 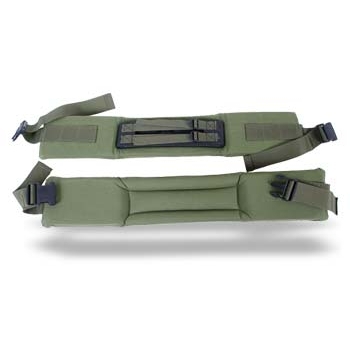 Other features include a dual adustable front buckle and side webbing attachment points to allow additional modular gear to be attached directly to the belt. Two easy to use adjustable buckles replace the awkward 'ratchet' style attachment system on the issue kidney pad. 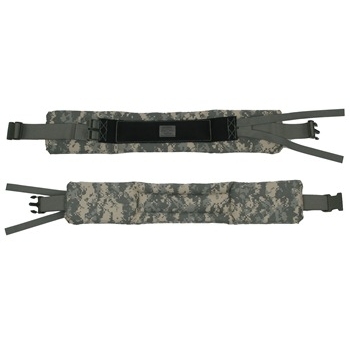 The Super Belt is a must have for anyone seeking more comfort and durability with their ALICE or MALICE Packs. Available in Coyote Brown and OD.